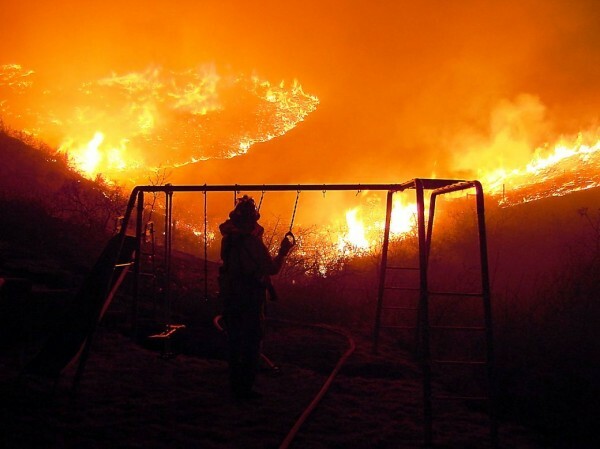 A wild land fire is a fire that is unplanned and occurs in largely undeveloped forest, shrub or grassland. In recent years, the occurrence of wild land fires has increased worldwide and while many of these fires are caused by lightning, four out of five wild land fires are caused by people. There are three different types of wild land fires, each with varying intensity. The first of these is a surface fire which is the most common type of wild land fire and burns along the forest floor. The second type of wild land fire is a ground fire. These are normally caused by lightning and burn on the forest floor in the humus layer (the dead organic matter on the floor such as leaves) down to the forest’s soil. The final type of wild land fire is a crown or canopy fire. These are high intensity fires that jump along the top of trees and are spread by wind. Wild Land fires also have emergency medical teams there to help with all medical emergencies no matter how big or small. These teams are composed of highly trained individuals who are there for first response to any one injured or needing medical assistance. Wilderness Medics provides experienced EMT’s, Paramedics & RNs from large metropolitan fire departments and EMS services. Their red card, line certified, arduous tested, National Registry EMT’s and Paramedics & RNs bring thier vast experience in cardiac, respiratory, and traumatic emergencies to your personnel. Their medical directors provide experience and progressive approach in emergency medicine and occupational health. Their Paramedics and RN’s are available 24 hours a day for on line medical direction when needed.